Posted on November 29, 2016, in Jateng, Kudus and tagged penyiar, pop fm, radio, sma, smk, smu. Bookmark the permalink. 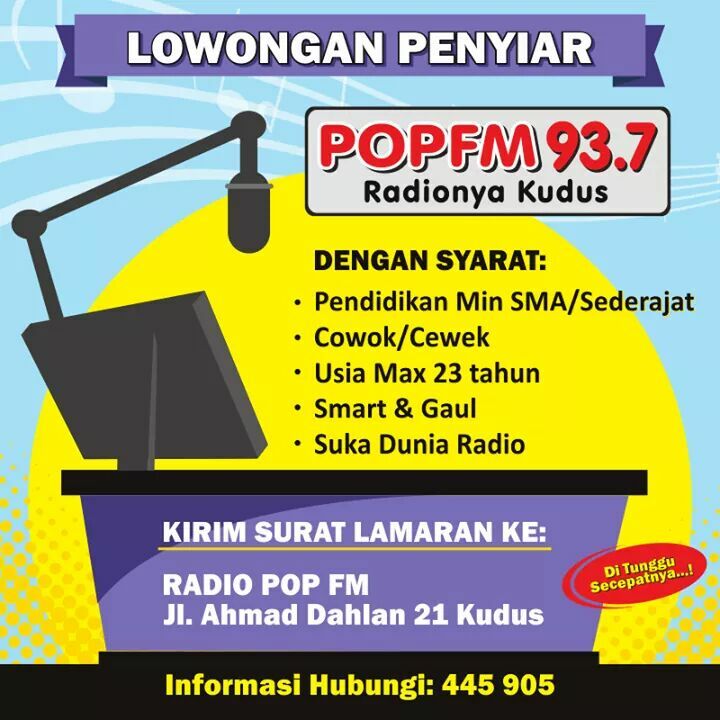 Comments Off on Lowongan Penyiar Pop FM Kudus.